PhiLings is a common name for all cosmetic treatments of PhiAcademy, including: Microneedling and Phi-Ion (Plasma therapy.) These can be done in combination or separately, depending on the indications for the treatment. 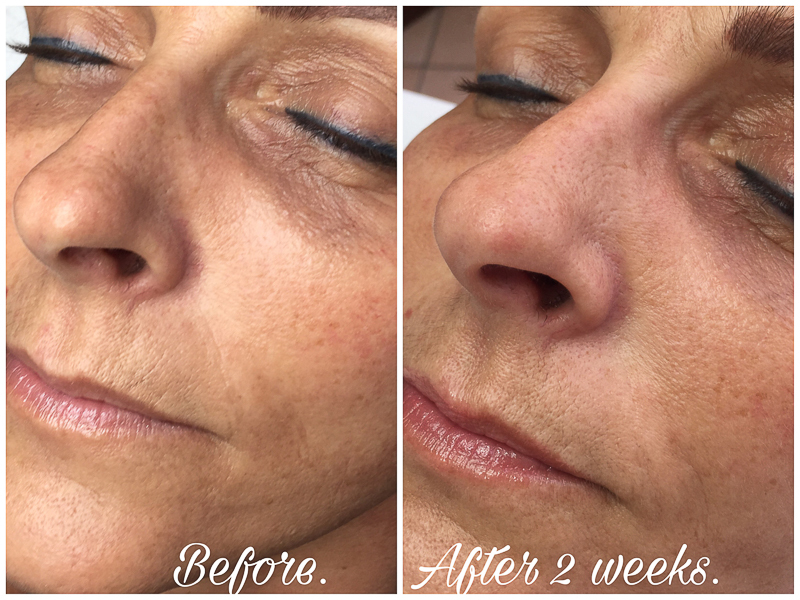 Before describing the process of Microneedling, first we must explain why it is important. The skin is the largest organ in our body but it is at the bottom of the priority list when it comes to the distribution of nourishing ingredients. Tissue regeneration and vitality maintenance are far more important for internal organs therefore, it is very important to physically stimulate regeneration of the skin. Each micro-injury that is formed on the skin actually sends a message to the brain that it is necessary to start the natural regeneration process in that very spot. This improves the collagen producing process greatly. The Microneedling procedure is aimed at stimulating Micro-circulation and the natural processes of collagen production and regeneration. Micro-punctures are being inflicted by hand in the region of the most prominent wrinkles or skin changes by Phi-NeedlePen system for wider skin surfaces. During the treatment a specially formulated and patented solution is being applied to the skin and subsequently absorbed. Results become visible from 24 hours and shall last for 4-6 months. It is recommended to do up to 3 treatments with 10-14 days gap to achieve best results. This will be discussed at the first procedure after a thorough skin assessment. After the treatment the skin will be red and flushed in a similar way to moderate sunburn. You may experience skin tightness, tingling and a mild sensitivity to touch on the treated areas. 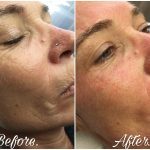 These effects will diminish greatly a few hours following the treatment and after 3 days the redness will be completely absolved. Immediately after your treatment, the therapist will apply PhiFace After-Treatment Mask and he/she will provide you with PhiSoothing Cream and Ultimate Skin Cocktail gel. PhiSoothing Cream is to be applied in a thin film over the treated skin area. You only apply this when you feel tingling and/or tightening of skin! Ultimate Skin Cocktail gel is applied to face for the first time the night of the treatment. For the next 4-5 days you will apply it THREE times per day. DO NOT expose your skin to direct sunlight for 24 hours, wear a hat please! Very little downtime: you will get small scabs where skin has been treated which will disappear within 7-10 days. Disclaimer: Results of all treatments do vary from person to person. I do not guarantee results or that results may be achievable for everyone. Please see Full Disclaimer. The Phi-Ion is one of the Phi-Lings palettes of skin treatments developed by PhiAcademy. Phi Ion Pen is a minimally invasive cosmetic tool for precisely oriented sublimation of the superficial skin layer. 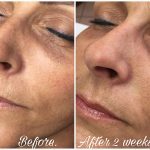 This revolutionary method is capable of achieving results comparable to the results of cosmetic surgery. Plasma skin regeneration, is a non-laser treatment that uses a device to deliver energy in the form of plasma to rejuvenate skin by improving facial lines and wrinkles and skin pigmentation associated with photo-ageing. This treatment is based on the creation of a series of tiny dots running alongside the tension lines on the skin. This process triggers an instant contraction and tightening of the skin fibres to create a lifting, remodelling and rejuvenating effect. The Phi-Ion Pen uses the Plasma state of matter, whereby it ionizes the air to create a micro-electrical discharge causing sublimation (turning solids into gas) of the excessive/sagging superficial skin layer. 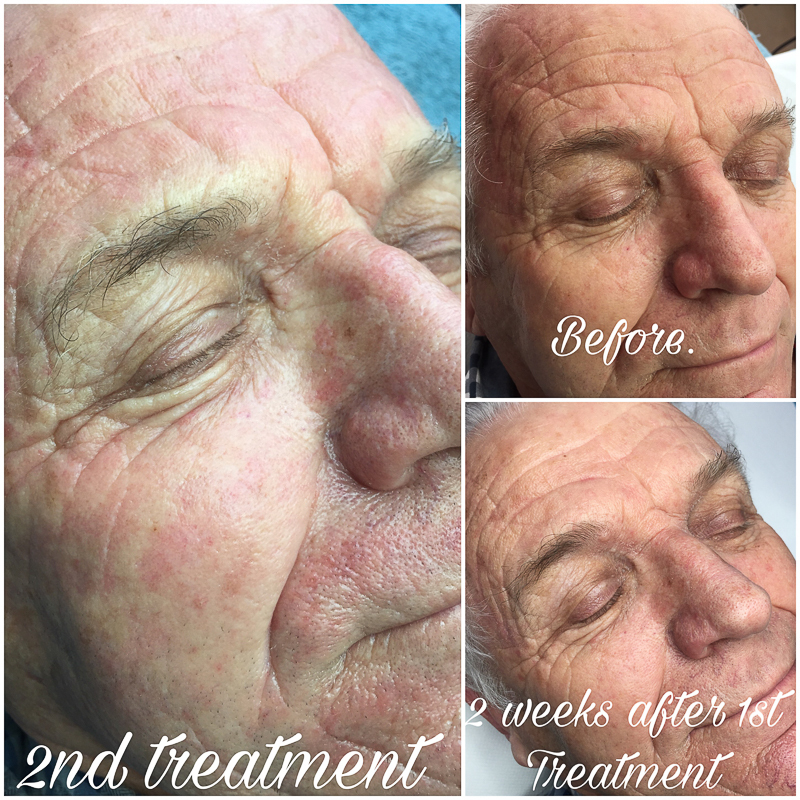 This treatment can be used to treat specific areas of concern without damaging the surrounding tissues. 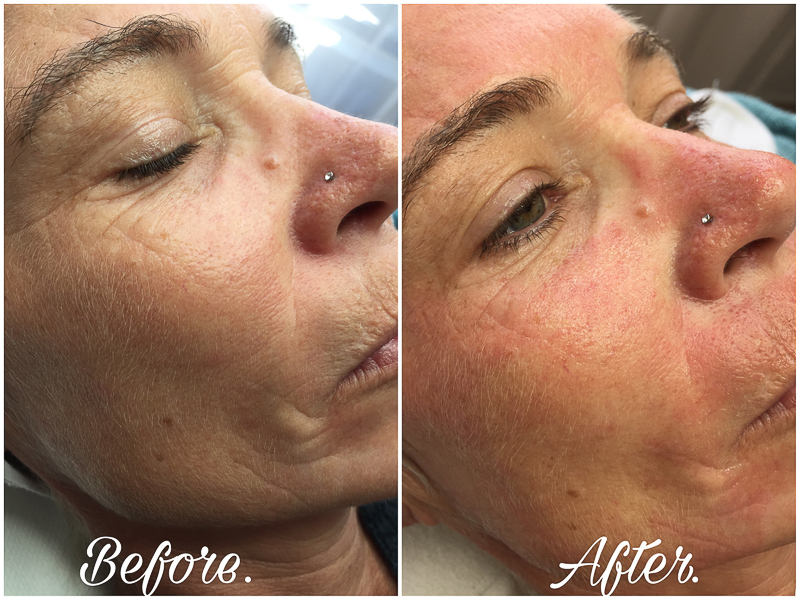 Plasma is much less invasive than laser as there is not Heat Damage from Plasma. Wrinkle tensioning like crow’s feet etc. Clusters of yellowish spots up to 0.2mm in diameter will appear in the treated area and will remain visible for up to 5 days. Eyelids may get a little swollen and the client may feel tingling. 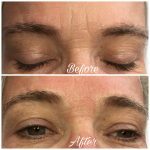 There is no AFTER TREATMENT CREAM that needs to be applied and the client can use foundation to cover the eyelids after 48 hours. All side effects should disappear in 7-10 days after treatment. Immediately after your treatment, the therapist will apply PhiFace After-Treatment Mask and he/she will provide you with PhiSoothing Cream if there is tingling present. DO NOT expose your skin to direct sunlight for 2 days, wear a hat and dark glasses for eyelids please! 1How are the treatments done? 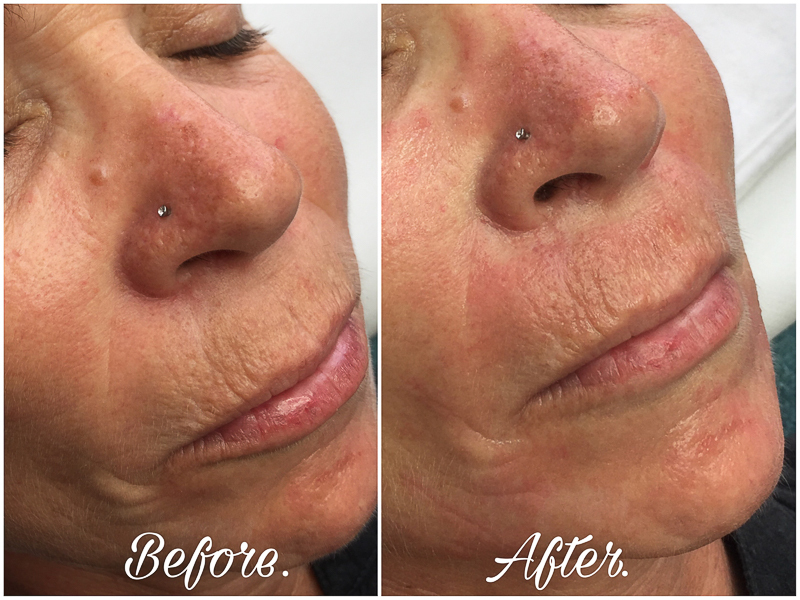 Microneedling- After some topical anaesthetic is applied on the area to be treated and left to sit for 20 minutes, a manual tool is used to needle alongside the most prominent lines/wrinkles. Then the 12-guage needle pen is applied to the skin with a serum chosen to treat your specific skin condition. After treatment a soothing mask is applied for 20 minutes that reduces the redness caused by the treatment. It is in general a relaxing treatment with clients often getting in a quick nap! Phi-Ion Plasma Skin TherapyAfter some topical anaesthetic is applied on the area to be treated, the device is applied to the area. The client experiences some heat, but it is completely tolerable. This "heat" is what creates the response desired in the skin leading to collagen induction/production. The treatment time varies according to areas treated. 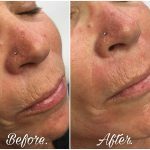 3When should one start Microneedling treatments? 4Can the treatments be done together? Yes, your therapist will advise you on which treatment is best for your areas of concern and a package can be built up to ensure you are getting the best results out of the time spent in the salon. Yes. 20 minutes before the treatments a local numbing cream is applied to the area and left to work making the procedures almost painless. Microneedling: the needle only penetrates through the epidermis (top layer) and does not remove it. This leaves the skin’s natural protective barrier intact. The micro-inured skin rapidly heals in a matter of hours. After the procedure, the treated skin has the appearance of moderate sunburn which improves over the next 24 to 48 hours. The treatment is therefore not only very effective but also very safe with very few (to no) side effects or complications. TGA Rejuvenation treatments are mostly priced per area depending on what you are looking to have done. Due to the range of treatments and the options to customise treatments, most items listed on this page start ‘from’ a certain amount and can increase depending on the area and type of treatment you are querying. The best advice is to allow your therapist to assess your needs and skin and to recommend a certain treatment or combination of treatment. Please download pdf for current prices. Please note prices can vary greatly from treatment to treatment, depending on your concerns and Therapists' advice. It is best to discuss all options with Therapist during consultation. All packages can be customised according to areas treated. This is to certify that PhiBrows & PhiLings palette treatments are performed in compliance with all measures of the utmost importance for client’s safety. - Workplace is suitable and meets certain criteria according to hygiene standards. Results of all treatments do vary from person to person. Tami Garland Aesthetics and Therapists do not guarantee results or that results may be achievable for everyone. The general information provided on the Website is for education and information purposes only and is not intended to replace a one to one consultation nor is it professional medical advice, diagnosis, treatment, or care, nor is it intended to be a substitute therefore. Always seek the advice of your physician or other qualified health provider properly licensed to practise medicine or general healthcare in your area concerning any questions you may have regarding any information obtained from this Website and any medical condition you believe may be relevant to you. Never disregard professional medical advice or delay in seeking it because of something you have read on this Website. Always consult with your physician or other qualified healthcare provider before embarking on a new treatment. Information obtained on the Website is not exhaustive and does not cover all diseases, ailments, physical conditions, or their treatment. Results and outcomes of the treatments do vary from person to person. Tami Garland Aesthetics and therapists working here, do not guarantee specific results or that results may be achievable. Your therapist will discuss your expectations and outcomes during your consultation. Information provided on this website is not to entice or convince you into undergoing a procedure. The treatments may also vary and all THE COMPLICATIONS THAT MAY OCCUR from these treatments and/or following a treatment, are not all listed or discussed. Therefore it is important to make a face-to-face consultation to discuss these matters. This site and contents are provided for information purposes only. General claims made on the website relating to risks and outcomes of a treatment are provided as a guide only.